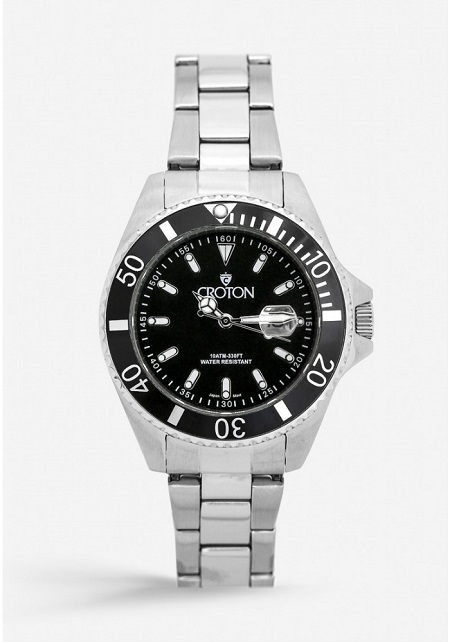 This beautiful Croton watch feature a round stainless steel case topped with a textured unidirectional rotating bezel with diver's scale. 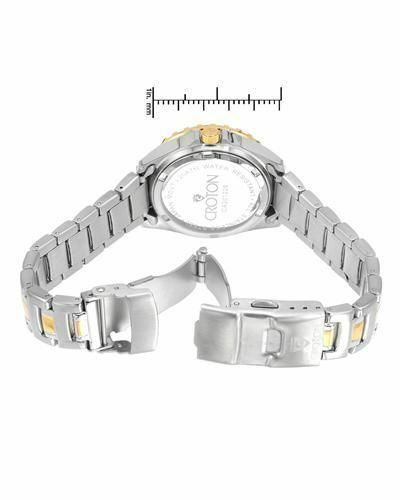 Brushed and polished links give the bracelet a subtle smartness ending in an easy-to-use push button deployant clasp. The dial is clean and wonderfully readable without unnecessary complications cluttering things up. Instead, all you have to keep track of are luminous stylized hands and equally glowing stick hour markers. A magnified date window at 3:00 helps you keep a close eye on your schedule finishing this perfect day-to-day watch! 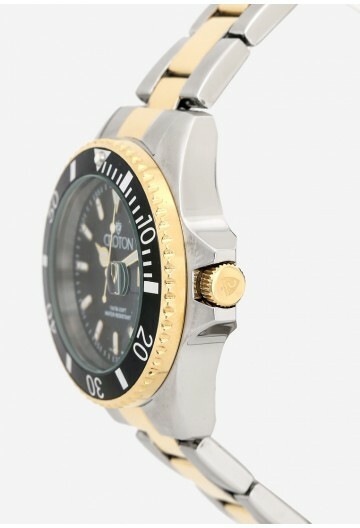 Croton Aquamatic 10 ATM Two Tone Watch with Black Dial and Black Bezel CA201295TTBK (more info) — SOLD OUT! 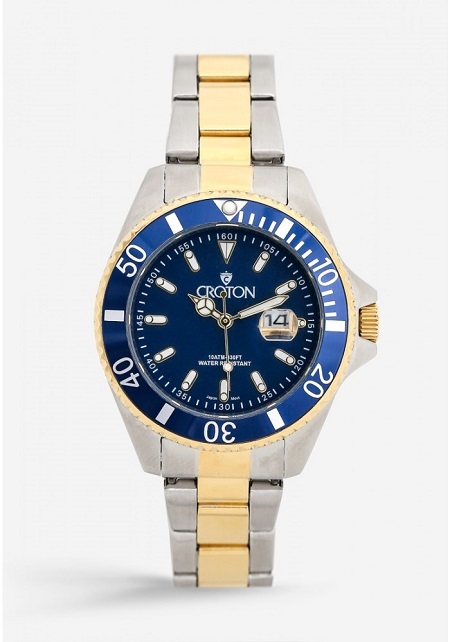 Croton Aquamatic 10 ATM Two Tone Watch with Blue Dial and Blue Bezel CA201295TTBL (more info) — SOLD OUT! 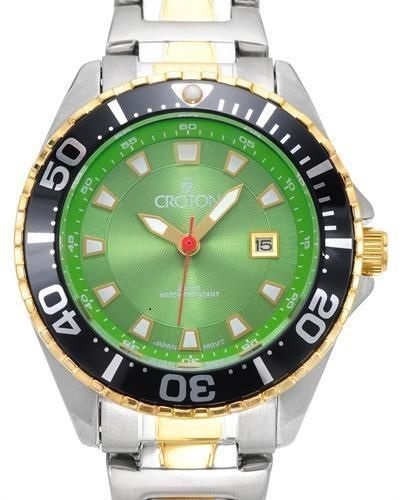 Croton Aquamatic 10 ATM Two Tone Watch with Green Dial and Black Bezel CA201295TTGR (more info) — only 1 left! 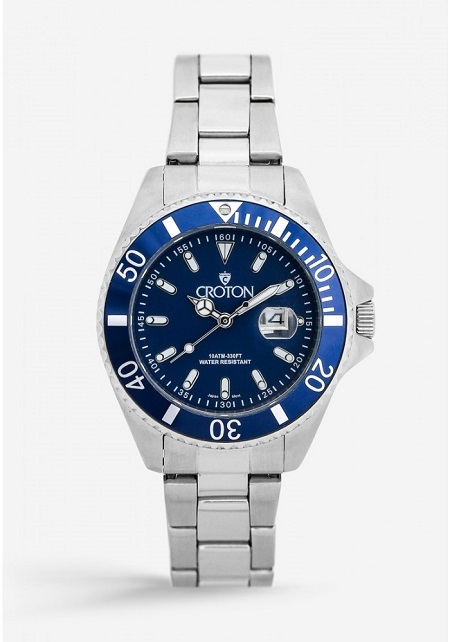 Croton Aquamatic 10 ATM Watch with Blue Dial and Blue Bezel CA201295BUBL (more info) — SOLD OUT! 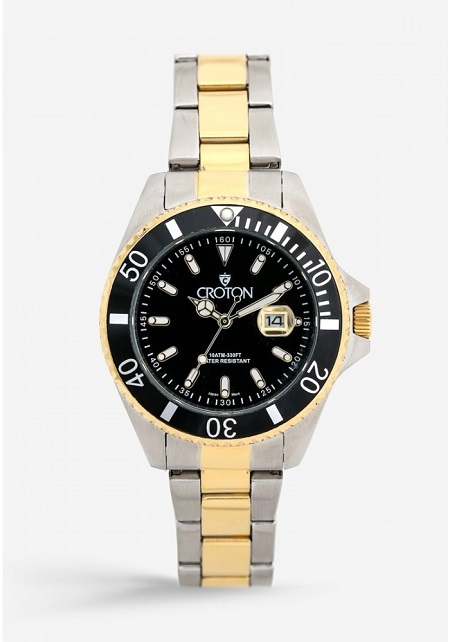 Croton Aquamatic 10 ATM Watch with Black Dial and Black Bezel CA201295BKBK (more info) — SOLD OUT!